Green Building Studio is an analysis service that can help both architects and designers execute a whole building analysis, optimize energy production, and work on the way to convert carbon neutrality in the first conceptual stage of the design process. Now, with quicker and more accurate energy investigation of building design proposals, professionals can work with sustainably in mind early in the process, plan ahead and build better. 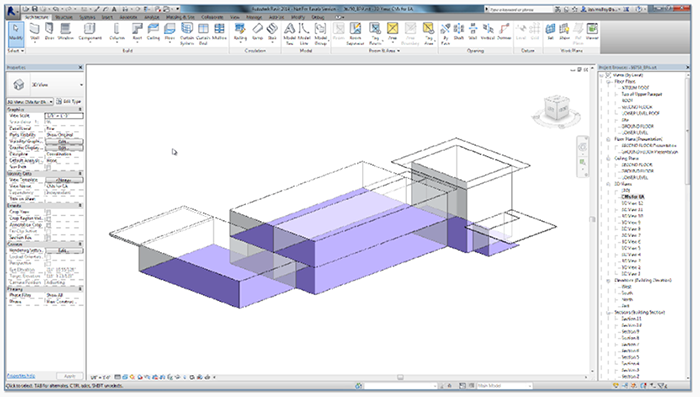 The Autodesk software FormIt allows connecting to Green Building Studio for conceptual mass configuration, while Revit supports energy investigation for both conceptual forms and explicit architectural models. The two tools use an automated thermal zoning for conceptual multitude, which follows industry conventions (ASHRAE). Green Building Studio uses the DOE-2.2 simulation engine to determine energy performance and also provides a geometrical input data for EnergyPlus. A strong point is an integrated interoperability shown is the gbXML schema, an open XML schema of the International Alliance of Interoperability's aecXML Group. What can you do with Green Building Studio? Users can generate a pre-populated energy simulation models and first results using the power of Revit and Vasari. Green Building Studio is equipped with the industry standard DOE2.2 engine for high speed at enough level of quality. The software allows the user to export a DOE2/eQuest INP file or an EnergyPlus IDF file for detailed work in those tools, in case a more advanced energy analysis is needed. Green Building Studio can be used as a translator from tools that create gbXML model geometry, to a fully populated energy investigation model that can be used in GBS and/or exported to INP or IDF.